It’s one of those events that affects us all but generally goes unnoticed. Every 5 years Ofwat, the water industry financial regulator, reviews the investment plans of the water companies. This affects the water bills we pay; the amount of money that’s invested in providing us with clean water and removing our dirty water; and most excitingly for me it helps to contribute to cleaner rivers, safer bathing waters and a healthier environment. Not dull then! Everyone benefits from investment in water company infrastructure. You don’t need to tell me we live in challenging economic times. Budget deficits, populations growth and climate change and the reality that if we don’t protect our water environment we’re in trouble, that’s why I for one am celebrating the decisions that Ofwat have announced today. From 2015-2020 water companies across England and Wales will be investing £44 billion pounds in customer services. £3.5 billion of this will go on protecting and improving the environment. So how will this investment benefit everyone?... apart from higher quality drinking water supplies, more resilient water supplies and sewerage services. Well to start with 6000kms of our rivers and 50 bathing beaches will be improved and protected. Fewer houses will be flooded by sewerage. There will be less serious pollution incidents that can wipe out fish along a stretch of river or make a beach unsuitable for swimming. 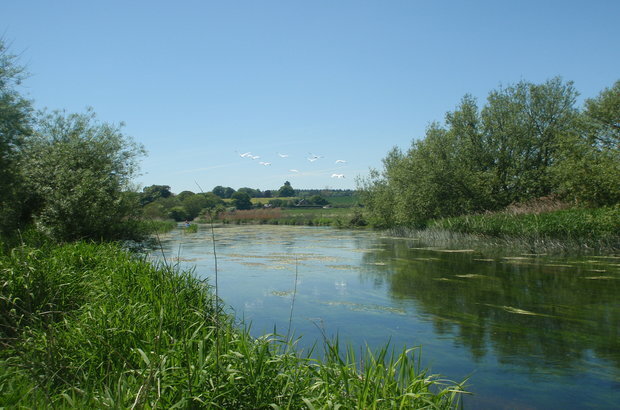 Water companies will also spend £70 million protecting eels and other fish, making it easier for them to migrate up and down our rivers, which is great news for the UK’s biodiversity. One of the biggest ways companies can help the environment is by using the water they abstract more efficiently which is why it’s great that they are aiming to reduce leakage by 370 million litres per day. But it’s not all about water companies working on their own. A common cause of water pollution is rain water that runs off agricultural and urban land. This can increase the cost of treating abstracted drinking water so water companies will be working with farmers and landowners across 180 river catchments to reduce nutrients run-off. This benefits biodiversity and companies will work closely with others stakeholders including eNGOs to make the plans a reality. Water company investment will help reduce flood risk by improving infrastructure and providing solutions to sewer flooding. This in turn will help councils provide better protection from surface water flooding. So what’s next? Well in a way we’ve done the easy bit. We’ve produced the plans and the companies have the funding. 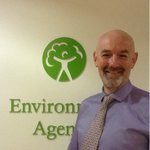 Now we need to get the work done and the Environment Agency will play its part working closely with water companies over the next five years to help them deliver more improvements that meet the needs of customers and the environment. Oh and there is one more reason to celebrate. Not only will we see cleaner rivers, secure water supplies, less flooding and less pollution but we’ll also see average bills fall by 5% before inflation. Now maybe that is something worth getting interested in. Director of Water, Land and Biodiversity and Executive disability champion. Wakefield council and the environment agency are complicit in putting all dirty water into my stream that runs aside of my bungalow, why if they have some money dont they build some infastructure, I am now a flood risk, I had a intermittant stream before, and no it is not because of rain.. please help, before I lose my home..
Dear Mrs Briggs We need more details from you regarding this matter. Please either email into us at enquiries@environment-agency.gov.uk or call us 03708 506506 so we can help.